Carbon black project performance: Since established, our company has already accomplished over 70 Carbon black Engineering design projects, 80-odd production line in total. 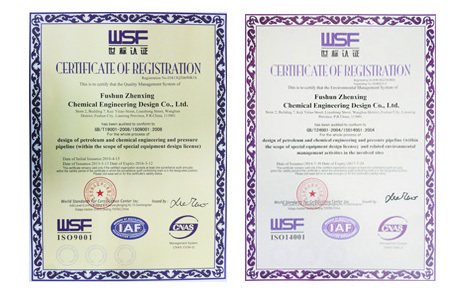 Design Certification Sharing: In Jan 1, 2016, our company signed a Deepening cooperation agreement with China Chemical Guilin Engineering Corporation, authorized to use its National Grade A qualification of Chemical petrochemical pharmaceutical industry and its company name. Our company can independently carry out the project tracking, negotiation, contract engineering business and related work under its company name, mainly engaging in Engineering General Contract Project in Carbon black industry and Petrochemical field. Feedstock oil refinement: Our company has cooperation agreement with Jinan Shangderui Chemical technology limited company. This company owns Carbon black Feedstock oil refinement proprietary technology. We has successively accomplished the Jining Carbon black company 150 thousand tons/year Feedstock oil refinement project, Shanxi sunlight Coking Group 300 thousand tons/year Feedstock oil refinement project, Jining Yongsheng 50 thousand tons/year heavy benzene deep processing project. Carbon black supporting power generation project：We have long term Cooperation partners the Shaanxi Datang New Energy Power Design Co., Ltd in Carbon black supporting power generation project. 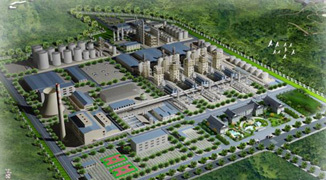 Desulfurization and Denitration: In the field of Desulfurization and Denitration, we respectively have cooperation aggrements with CPECC Dalian Branch, Hangzhou Beigaofeng Electric Engineering Design Co., Ltd, Sinopec Fushun Research Institute of Petrochemical Technology. Design software: Over the years our company has successively purchased a large number of excellent engineering design software from both abroad and domestic, providing regular professional design software training.